A call to Eckert Renovations is the first step you need to take. Our company has had the pleasure of creating many successful bathroom facelifts and full remodels over the years. We pride ourselves on efficiency and dedication to our craft and will never consider a job finished until you are fully satisfied. Creating a custom bathroom isn’t a purely selfish aim, and in terms of desires, it’s one of the best investments you can make. The average bathroom remodel cost is between $8,000 and $10,000 but this is for a full transformation. Smaller more cosmetic jobs can certainly be done for less. But the good news is that when Eckert Renovations installs either, they will benefit you tremendously. As the world evolves, so do appliances. Outdated appliances strain energy production and with the installation of new appliances comes less of a footprint, and monetary savings for you! Bathroom renovations will give you the highest return on investment of any renovation. When you’re considering “how much does it cost to remodel a bathroom?” consider how much you’ll get back once you do. The return is in the thousands! There’s a lot of fun new technology out there for bathrooms and at Eckert Renovations we’ve had a chance to play around with it all. 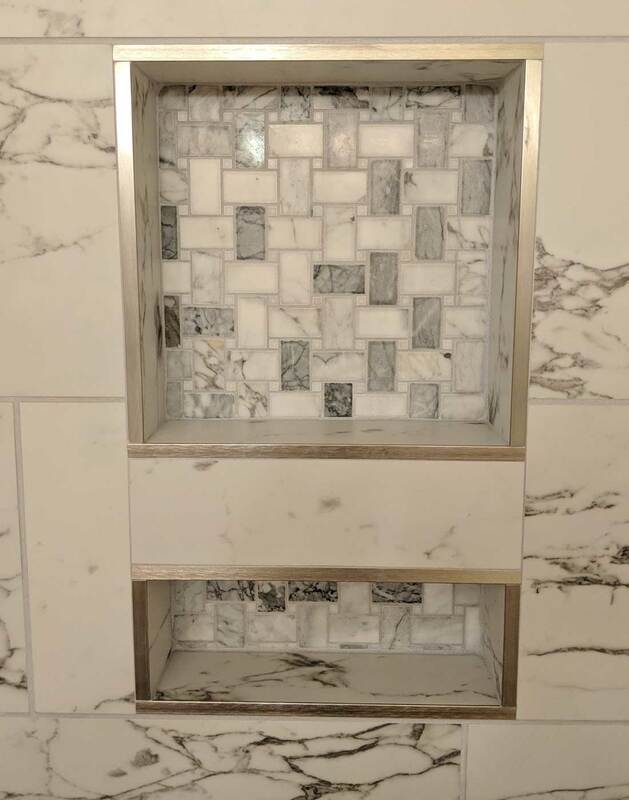 Shower heads and enclosures are as luxe as ever, and some clients are even installing fire features and sound systems in their bathrooms for extra relaxation. 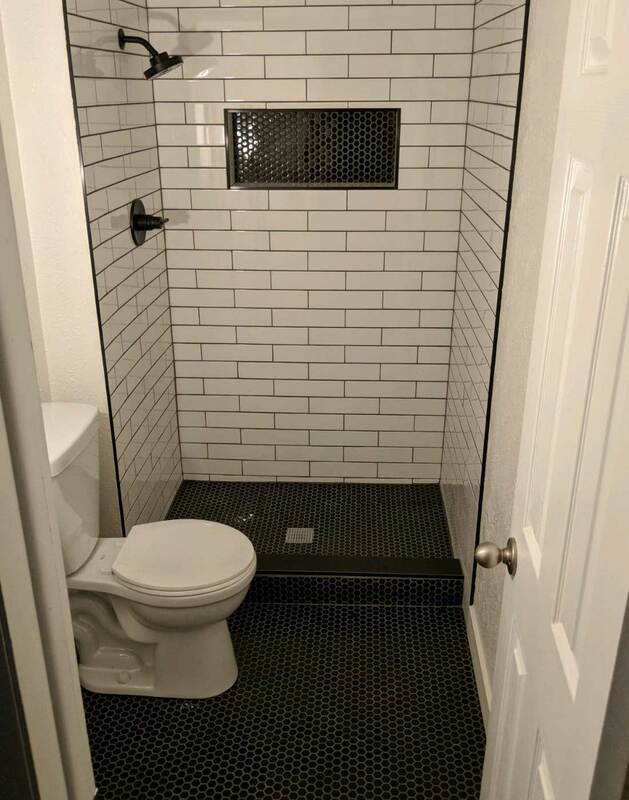 Older bathrooms don’t have the best storage options. In an age of excess, most of us have more bathroom accessories than we’d care to admit—so why not stash them away with a personalized organization system? Enjoy your bathroom more when it’s made just for you! When you make the decision to remodel, we’ll be there for you from start to end. Eckert Renovations will come up with a realistic way to create your dream bathroom, make suggestions based on our knowledge of the industry, pull off a build in the timeframe you outline, and when it comes to cleanup you’ll never even know we were there! Any renovation can be a messy process, and a bathroom remodel is no different. Ever had a contractor come in for a small job and need to come back a week later to clean up after themselves, leaving you with a mess you’re not sure if you should just handle yourself? Well, that’s not us. Respect for your property is an important part of our core values. Let us treat your home or business as if it were our own. Hire a company that cares. Hire Eckert Renovations.